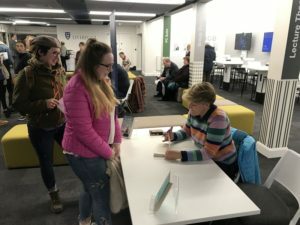 Renowned sports broadcaster Clare Balding was the guest of honour at the University of Liverpool, sharing her life stories ahead of LGBT History Month. 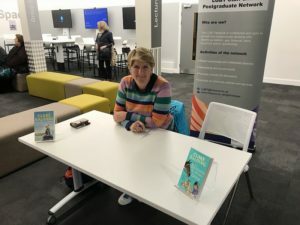 Friday’s event, which was organised by the Liverpool University Veterinary LGBT+ Society, saw Balding discuss her career presenting major sporting events, her adoration for animals, plus her relationship with wife, Alice Arnold. After the talk, she spoke exclusively to JMU Journalism, offering advice for aspiring female sports journalists. She said: “You should find your speciality and choose something that is growing, whether that’s netball, women’s football, women’s rugby union or women’s rugby league – which gets no coverage at all. On the controversial current topic of equal pay, Balding OBE told JMU Journalism: “There’s a shocking disparity in pay across all areas of the media and I don’t think that can be rectified until there’s full transparency. Throughout the lecture, there was mention of her family’s relations with the Royals and their strong horseracing connections. The broadcaster also detailed introducing her life with Alice to her family and the public, telling the audience: “If you keep your relationship secret and you don’t share your moments of joy, you can’t grieve that relationship when it finishes in public. “My last relationship didn’t feel real because it wasn’t of public knowledge and my parents didn’t know. LGBT History Month, which began on February 1st, observes the community’s story, with the aim of ensuring that society and the education system is shaped to allow LGBT people to reach their full potential. There will be a variety of events hosted by Liverpool University Veterinary LGBT+ Society during the month, listed on their Twitter page. London Evening Standard: LGBT History Month 2019: When is it, how did it start and what celebrations are happening in the UK?